Thought former interim WBO 140-pound champ Mike Alvarado was all finished? Most people wrote the gutsy warrior off after his corner retirement of a loss to Brandon Rios in January of 2015. Alvarado was never in the rubber-match, being easily beaten and this loss came after punishing defeats at the hands of Ruslan Provodnikov and Juan Manuel Marquez. Plenty of people instinctively wrote Alvarado off, after all, suffering three back to back losses is no joke. But it later transpired how Alvarado had barely trained for the third fight with Rios, and how he had fallen victim to alcohol abuse. Checking into a rehabilitation centre shortly after the fight, the 35-year-old has been clean and sober since and he has picked up one comeback win – a quick stoppage win over Saul Corral in March of this year. Now 35-4(24) the fan-friendly fighter known as “Mile High” has been given a second chance and his promoter Bob Arum explained to ESPN.com how he chose to stick with Alvarado, and of the possible big fights he has lined up for him should he come through on Saturday – against Josh Torres, 15-4-2 in Dallas – and more importantly, if he can stay sober. The thought of the Alvardo that was so poor against Rios in their third fight (after two great fights, with each warrior winning one a piece) going in with any of the elite fighters Arum mentions would have caused many a fight fan to cringe. 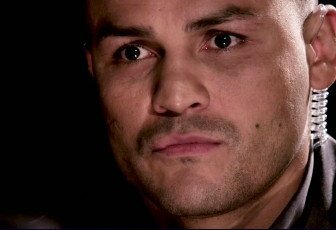 Maybe even now, even if he is clean and sober and ready for more fights, the notion of putting the 35-year-old in with the likes of Crawford (a pound-for-pounder who would likely make mincemeat out of Alvarado), Pacquiao and Bradley or Vargas will make fans cringe. With all the punishment he has taken throughout his thrilling but hard career, Alvardo will be shocking many people if he gets as far as Arum says, or hopes, he might. Realistically, the best Alvarado can hope for is to get himself a few wins at a certain level, remain in the good place he says he is in now (he told ESPN.com how he is a “different person now,” and that he has been “saved”) and then exit the sport a winner. But get in there and be competitive against one of the fighters Arum mentioned? That would be a hope too far, surely. Unless Alvardo is a fighter on the verge of scoring one of the sport’s most epic comebacks.